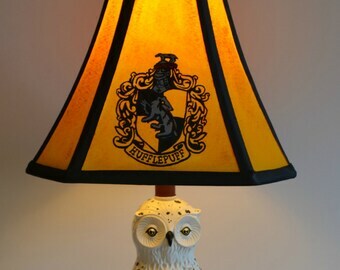 Announcement Harry Potter lamps, parrot hoods, scoodies, winter hats, scarves, etc. 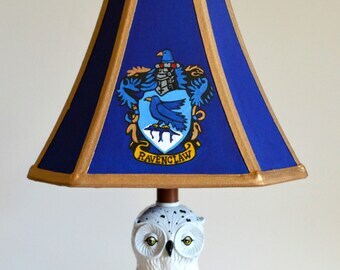 I make all sorts of fun and nerdy items. Please take some time to browse through my shop and see if there is something that would brighten up your life and I do take custom orders so feel free to message me any queries. 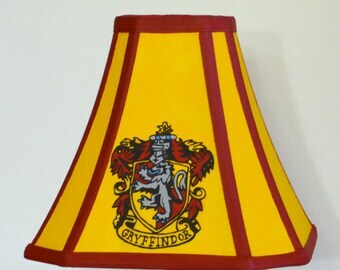 Harry Potter lamps, parrot hoods, scoodies, winter hats, scarves, etc. 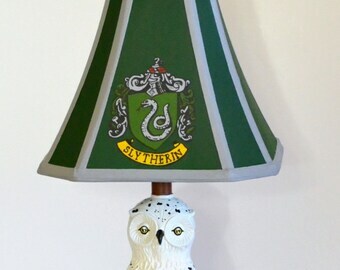 I make all sorts of fun and nerdy items. Please take some time to browse through my shop and see if there is something that would brighten up your life and I do take custom orders so feel free to message me any queries. 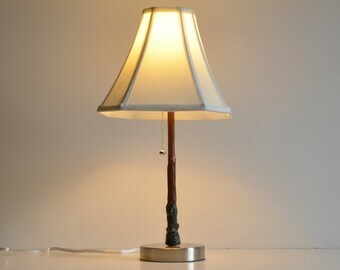 I love the Harry Potter lamp! It turned out exactly as I expected. 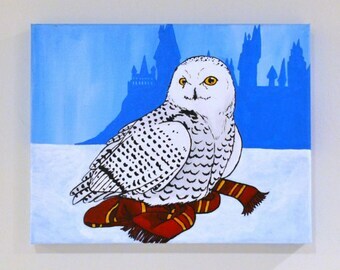 It is going to look great in my sons nursery! Let me just say, the owner of this shop is absolutely amazing. I ordered a completely custom order; from the pattern to the colors. Through the entire process, though, this seller was INCREDIBLE with communication and keeping me up to date on what was going on, the pricing estimates, shipping estimates, the whole nine yards. The craftsmanship put into these scoodies are absolutely amazing. 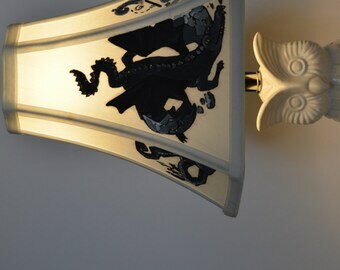 I love hand-made items and while these are hand-made, they are made with a high quality standard. I am in love with my custom hoopoe scoodie and will definitely be back for future orders. All I can say is thank you so much, Breanna, you are AWESOME! Awesome! Perfect! Thanks so much! 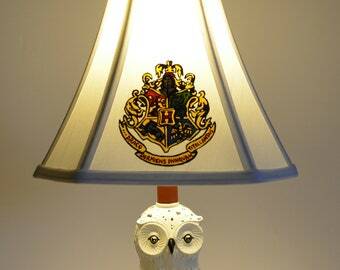 New Gold option for the Hogwarts crest lamp. New parrot scoodie design. I’ve been wanting to make this one since I first started designing the parrot scoodies. I think it’s my new favorite. From now through 4/25/18 all parrot scoodies are 10% off. Spring, that time of year when the wild birds are singing...and our birds are screaming, shredding things, and being generally moody. My mission is to make a living by making other people smile. 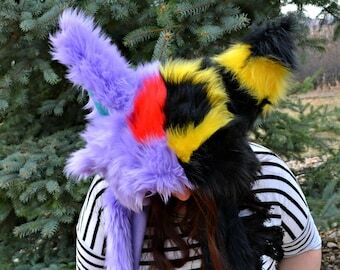 One of the best parts of a sale, for me, is hearing back from the customer about how much they love their new hat, lamp, plushie, etc. It makes all the time, effort, and love that I put into everything I create that much more worth it. I love to interact with my customers because it's like making a new friend. I guess you could say that I hand make smiles. I make a smile by sewing or painting something that will bring that smile. I do what I do so that you can be a fluffy fluffy wolf, parrot, wild dog, unicorn, dragon, gryphon, tiger, cat, husky, etc. 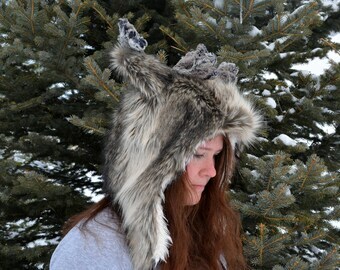 wherever and whenever (within reason...I wouldn't wear fur hats in 80 degree weather or out in the desert). 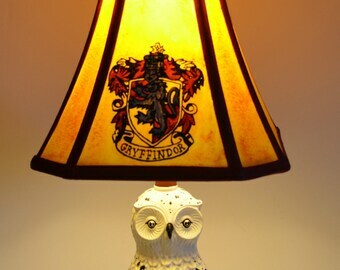 You can wear them at cons, festivals, on the slopes, walking through the cold, or just lounging at home reading a book via the light from your Harry Potter lamp. I do what I do so you can eat your dinner off a death star and sleep in your comfy Hogwarts house sweatpants and Camp Half-blood t-shirt. I do what I do because I love it and I want you to love it too. When I first began creating spirit hoods (also known as scoodies), there were two things that caught my attention almost immediately. 1- The patterns out there weren't at the comfort level I wanted (my sister collected them so I tried on a few). If I did like the fit, I found I didn't like they way they did the ears or the paws, etc. 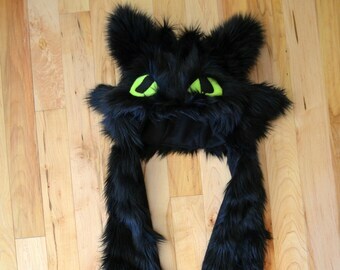 My solution for this was to decide that I was going to start making my own spirit hoods the way that I wanted them. I drew up a pattern from scratch and I've been using that same pattern ever since. I find them extremely comfy which is good enough for me. Luckily me sister, the collector, agrees. 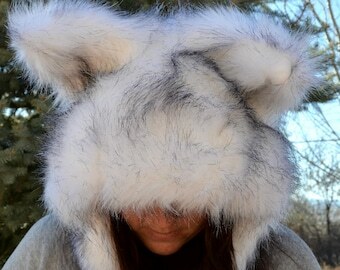 She said she prefers the fit of the hoods I've made her over the others that she's purchased elsewhere. Is my pattern the best out there? Is it perfect? I doubt it, but I set out to create a fit that I liked with a look that I liked and I achieved that goal. I worked hard on my pattern so that you could benefit from it. 2- I noticed a lack of unique animals available. 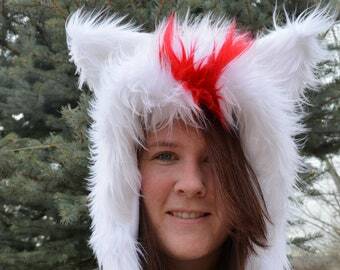 While there are a few exceptions, it seemed to me that most spirit hoods were generally wolves, foxes, or the occasional unicorn. I still love those of course and love to make them, but there are so many unique animals out there that weren't being represented (and still aren't but don't worry...I'm working on it) like African Wild Dogs, Caribou (Reindeer), and birds. 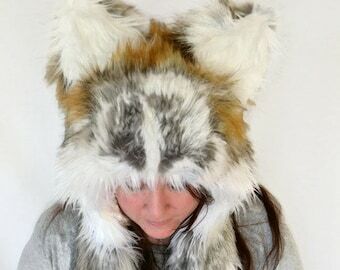 Other than the occasional owl, I was surprised that I could not find any bird spirit hoods on etsy. I decided it was up to me to fix that. 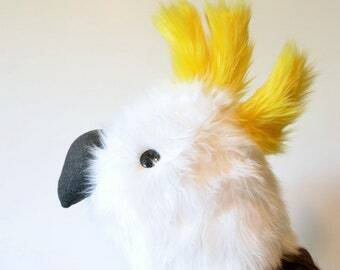 So, I created the first parrot spirit hoods on etsy (and possibly the first ones ever as far as I know). I love to take special requests because there are so many people out there who love unique and interesting animals and having the chance to wear a beautiful and comfy scood version of them is something they just can't pass up. So, I try to provide that. I am a writer, actress, and artist with a great love for just about anything nerdy and adorable. I have a good sense of humor and I love to maintain a fun and enjoyable relationship with my customers. Totoro is a white face cinnamon pearl pied cockatiel and she loves to watch me sew and paint. She especially loves to try and steal sewing pins and run away with them.....she's a pretty terrible assistant but a pretty adorable birdie. Welcome! My mission is to provide fun, beautiful, awesome, and laugh worthy items for the nerd in you or your loved one. Unfortunately, due to the nature of the items I sell, I can't accept returns or exchanges. I will accept cancellations within 24 hours of a purchase but once work begins on your item, I can no longer cancel the order or do a return. There are exceptions in some cases so if there are any issues with your order (arrives damaged or gets lost in the mail for example) be sure to contact me asap. You may purchase through direct checkout or paypal. Note that e-checks through paypal take longer to process so production on your item will not begin until payment has cleared. There may be additional charges upon delivery in some countries that charge customs import taxes/duties for imported items. You, as the buyer, will be responsible for paying any fees that your country may charge at delivery. 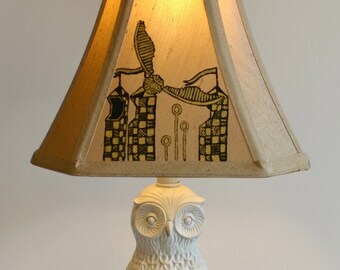 I send all items with USPS first class or priority mail. Each order is packed carefully to keep it safe and every shipment comes with a tracking number. If you are ordering from outside the US, there may be fees due upon delivery depending on the country. You, as the buyer, will be responsible for paying any customs import taxes/duties that may be due. Please note that once your order is dropped off at the post office, they are responsible for the safe and timely delivery of your item. If your package ends up lost or damaged, all my shipments are insured so contact me with photos of the damaged item asap so we can begin the refund or replacement process. Please note that lost packages cannot be claimed as lost through the postal service until 21 days have passed since it was shipped. This gives the usps a chance to try and locate the package before they will issue a shipping refund and insurance claim. If your country is not listed in the shipping options for the item you wish to purchase, message me for a shipping quote. Certain countries that are known for packages being stolen or lost (i.e. Brazil) should know the risks beforehand. I accept custom orders. If there is an item that I have previously sold out of that you would like to purchase, send me a message with the details of the item you wish to purchase. The same goes for any other custom items you wish to order from me. When I go on vacations, I don't generally put my shop on vacation mode. All items are still available and I will still respond to orders and messages. Generally, my vacation time doesn't cut too much into the amount of time I will need to produce your order but if it will affect it, I will inform you of it asap. Yes! I love to take custom orders. There are some exceptions, however, when it comes to what I can/will make so just message me your request and I will let you know if I can make it for you and give you a price quote. All of my scoodies are one size and fit most adults. If you want to purchase one for a smaller child, send me a message and I will see what I can do for you. I recommend spot cleaning with a damp cloth or hand wash and lay out to dry for all of my scoodies. The minky ones (i.e. the cockatiel scoodie) can be line dried but the faux fur scoodies should be laid out to dry rather than hung up. Faux fur gets very heavy when it is wet so you will want to avoid hanging it up to keep seams from getting stretched or damaged.